After a 30 year hiatus from participation in the South American trading bloc it once helped to establish, Chile rejoined the Andean Community of Nations (Comunidad Andina de Naciones — CAN by its Spanish acronym) as an associate member, on June 8, 2007. Chile, South America’s perpetual “Rising Star,” promises to bring back its economic prowess to the organization, whose full members include Bolivia, Colombia, Ecuador and Peru. A number of months ago, CAN lost Venezuela as a member because President Chavez found the organization too dependent on Washington’s influence. Now, Chile promises to pump up the group’s economic partnership, especially by exploring new initiatives regarding Europe and the Asia-Pacific region. There is no question that Chile will bring genuine assets and skills to CAN as well as sterling connections that will help its regional neighbors to expand their ties to the European and Asia-Pacific regions. But a number of regional figures have told COHA that Chile has a long history of servicing its own national interests, liberally defined, and that Santiago will see to it that under no circumstances will it be one of the losers when it comes to exacting benefits upon joining the free trade group. Critics will recall the manner in which Brazil and Argentina are today bitterly viewed by MERCOSUR’s smaller members as the prime beneficiaries of that trade bloc. Chile’s revived membership in CAN may be just the catalyst for invigorating the organization’s capability to promote free trade not only in the Andean region and throughout South America, but also across the Pacific, a prime field of its interest. This is of particular significance at a time when the Andean Community faces uncertainty due to a lack of cooperation among some of its members as well as heated competition with other South American economic conglomerates (like the MERCOSUR bloc). Originally established in 1969 as the Andean Pact (with Chile as a founding member), the organization promotes a neo-liberal economic agenda that advocates free trade and open markets. Chile withdrew from CAN in 1976 when the country was under the military dictatorship of General Augusto Pinochet, who cited the group’s economic incompatibility with the direction of his own self-imposed economic reforms for Chile, as the rationale for its withdrawal. After recovering from Pinochet’s brutal military dictatorship and reverting to its democratic roots in 1990, Chile’s liberal open market and free trade-oriented economy has prospered, allowing it to have one of the most vibrant and stable economies in South America. In order to perpetuate its economic viability, current Chilean President Michelle Bachelet has committed her country to strengthening regional trade pacts. The nation’s reintegration into CAN is evidence of the proactive approach by Chile’s ruling coalition, the Concertación Alliance, and its prudent “open regionalism” foreign policy which will be sustained as long as Bachelet is president. Prior to Chile’s re-entry into CAN, Venezuela was the bloc’s political and economic fulcrum, but its withdrawal in April 2006 severely jolted the internal dynamics and symmetry of the group until Chile’s potentially revitalizing return. 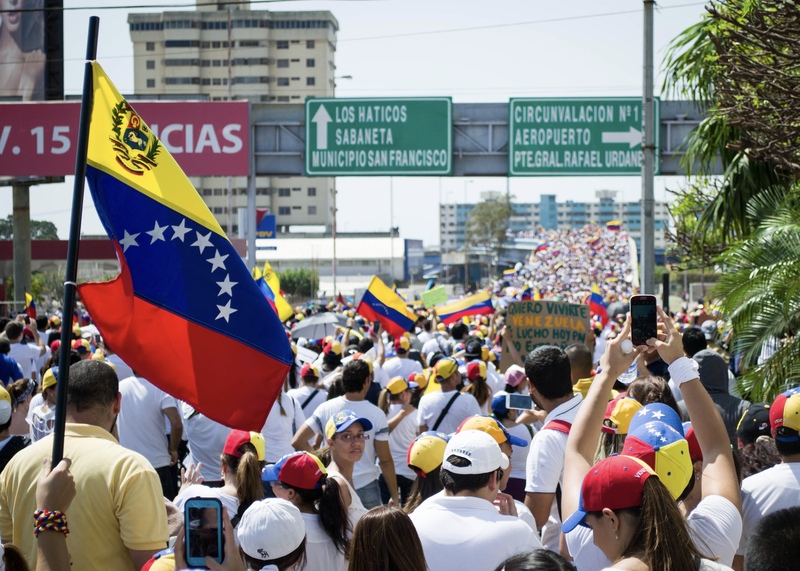 Venezuela abruptly had departed from the trading bloc as a result of President Hugo Chavez’s negative reaction to Colombia and Peru’s announced intentions of signing free trade agreements with the U.S. Even though Chavez has rejected calls from the Bolivian and Colombian governments to resume Venezuela’s membership in CAN, the group’s leaders continue to urge CAN Secretary General Freddy Elhers to make renewed overtures to Chavez to change his mind. Following its exit from CAN, Venezuela has become a member of MERCOSUR (a rival South American trading bloc). However, Chavez has managed to estrange himself from several fellow MERCOSUR heads of state in recent months, and particularly the legislative bodies of Brazil and Peru. Additionally, Chavez is now promoting on the side his own alternative to continental economic integration — the Alternativa Bolivariana para las Américas (Alba) — and may be trying to lure his allies, Bolivia and Ecuador, away from MERCOSUR and CAN. Recent calls from three Peruvian cabinet ministers that Lima should consider withdrawing from CAN have also raised questions regarding the vitality of the institution. On June 7, Agriculture Minister Ismael Benavides, Foreign Trade and Tourism Minister Mercedes Aráoz, and Production Minister Rafael Rey voiced their opposition to continued membership in CAN, declaring that Peru was not receiving any returns from years of investment in the organization. To date, President Alan Garcia has not responded to these strong words from his cabinet colleagues, yet this internal discontent with CAN appears to be one more instance of the destabilizing uncertainty among its members, and raises questions concerning their commitment to the organization. However, analysts now believe that Chile’s renewed membership may help strengthen Andean economic ties and its extended reach abroad, so long as CAN is able to stay intact long enough to see results. But the one thing everyone remembers is that Chile sees itself as not having permanent friends or associations, but mainly permanent interests, and that just as it left MERCOSUR and CAN and later returned, Santiago’s bonds are constructed of paste and not tenacious glue. Upon the prodding of newly inaugurated Peruvian President Alan Garcia, the CAN members sent a formal invitation to Chile on August 7, 2006 to rejoin the organization. Two weeks later, President Bachelet confirmed her nation’s interest, initiating the negotiations that led to its associate-member status being granted 11 months later. Since Chile already had signed Bilateral Economic Cooperation Agreements with Bolivia, Colombia, Ecuador and Peru (thereby paving the way for more extensive areas of economic cooperation, or free trade zones), it was relatively easy for Santiago to be reintegrated into CAN since it already qualified for the organization’s conditions for membership. With her attendance (the first time for a Chilean head of state in over 30 years) at the recent CAN summit in Tarija, Bolivia, President Bachelet has made it very clear that under her administration, Chile intends to repair its broken ties with the organization in hopes of renewing the Andean community brotherhood. As part of Bachelet’s commitment to renew regional trade pacts and with a bow to the Concertación’s foreign policy of “open regionalism,” which promotes free trade agreements as a mechanism for the expansion of commerce and investment, she professed Chile’s solidarity with CAN members. At the CAN summit on June 14, President Bachelet reiterated Santiago’s dedication to active membership in the organization, stating that “this is more than a presidential summit, it’s a meeting of great significance. The Andean Presidential Council has met to embrace Chile as an associate member of the Andean Community; we say, Chile returns to where they should have never left.” Outlining the importance of Chile’s reincorporation into CAN, Bachelet observed: “it signifies the re-encounter of my country with one of the most important processes of integration of Latin America . . . [this is] an instrument that permits us to bring together our countries and our people. With pride we say: Chile is an Andean country.” Bachelet also noted that Chile’s CAN membership aims to strengthen Andean political and economic ties, and that she hoped that her nation would help provide the organization with the face-lift it patently needed to unify its members and achieve its goals. Chilean government officials and other CAN members are hoping that the organization can reap sizeable benefits from using Chile’s already established connections to expand the geopolitical reach of the CAN trading bloc. As Bachelet has reflected: “the Asia-Pacific zone is probably the most dynamic economy today . . . Countries that look towards Asia can make individual treaties, but we can also collectively unite and offer a greater strengthened market.” With its recently negotiated trade deal with China, and its free trade agreements with more than fifty other nations worldwide, Chile sees itself as an important portal in shaping economic links between the Asia-Pacific region and South America. As Chile began the process for CAN re-entry, Alfredo Fuentes, a Colombian and former Acting Secretary General of the Andean Community stated in August 2006, “Chile’s association means that the Andean Community can further its focus on the Pacific region. But most importantly, it allows for the continued integration of our economic, political and social affairs. The relationship with Chile is important, allowing us to envision a common future on the way towards a Community of South American Nations [now known as UNASUR].” Clearly, the ramifications of Chile’s participation in CAN will generate widespread appeal in short and long-term growth towards the economic and political integration of South American countries and their relationship with other regions of the world. Chile hopes that its participation in CAN will help reenergize the group’s stalled negotiations with the EU. CAN began negotiations on a bloc-to-bloc free trade agreement with the EU in 2003, but divisions among CAN members on economic policies have riddled the process with setbacks. After months of disagreement on the logistics of the prospective EU-CAN free trade deal, CAN members finally decided to approach the negotiations on a country-by-country basis, with Colombia and Peru working at a faster pace than their neighbors, Bolivia and Ecuador. Since Chile established a free trade agreement with the EU in 2006, its government believes that it can help the rest of the Andean Community advance pending trade deals with the EU. As Foxley has noted, “we have a certain advantage in the opening of markets, with Asia, the United States and Europe. Therefore, we can render technical collaboration in the CAN negotiations with the European Union, and other fields.” At the recent CAN summit in Tarija, Bolivia, it was announced that negotiations for a comprehensive Association Agreement between both regions officially had been launched. The first round of negotiations is expected to begin in earnest in September of this year and, as stated in a joint EU-CAN press release on June 14, the objective of the Association Agreement is “to enhance the political dialogue between both regions, to intensify and improve their cooperation in a vast variety of areas and to enhance and facilitate bi-regional trade and investments.” Yet it remains to be seen whether Chile’s involvement will really make much difference, aside from mood and setting, in the crafting of the proposed EU-CAN trade deal. Regional Trade Blocs – Helping or Hindering? At a time when the vitality of regional trade blocs in South America and their overall effectiveness are being questioned, especially as nations consider swapping membership proposals between the two major groups, CAN and MERCOSUR, Chile is hoping to play the role of mediator and expeditor. As an associate member of both organizations, Chile clearly has been fence-sitting up to now, yet still receives the benefits of membership in both MERCOSUR, and now CAN. Each of the bodies has its own distinct political and economic agenda as well as a distinct style of in-fighting that could threaten the overall likelihood of successfully improving their level of cooperation. However, Chile has called for increased cooperation between these two rival forces. President Bachelet implored her fellow hermanidad andina at the recent CAN summit to “continue the convergence between CAN and MERCOSUR, and advance open and flexible global integration.” The process is already underway, since the two trading blocs signed a free trade agreement in December 2003. Unfortunately, further substantial progress on cooperative efforts has not been made since then due to internal conflict involving their preferred economic directions and goals. Adding new dynamics to the cooperative process, some analysts, like former Peruvian ambassador to Venezuela, Carlos Urrutia, see a future of regional relations and alliances being guided by scenarios “in which trade flows are stronger than political convergences.” Clearly, Chile sees itself riding the wave of the future, while other nearby nations seem to be on the verge of experiencing a shipwreck. But an ebullient Chile is not necessarily a welcome sight to the rest of CAN, since Santiago is not beloved by all. South American nations seem more likely to be advancing their own individual strategies for their own benefits, without necessarily taking into consideration the regional ramifications that accompany a lack of true unity. Since global markets such as the European Union and the Asia-Pacific region have explicitly demonstrated the benefits of transnational economic cooperation, Chile appears to be attempting to bridge the divide and lure its neighbors back into planning a more unified South American response to the promotion of free trade. With its dual participation in the region’s major economic groups, Chile is wisely protecting its own interests while simultaneously promoting intra-regional cooperation that is important to Latin America’s economic vitality. Nevertheless, the verdict has yet to be delivered on Santiago’s bona fides in this respect. There is too much historic bitterness to allow ancient misgivings to simply burn off in a moment. Greater Chilean involvement in the Andean Community may also soften its difficult record of strained bilateral relations with its neighbors Bolivia and Peru. And, as Chile’s foreign minister Alejandro Foxley has asserted, “there are people who think that we are isolated, but our country is present in all the instances of integration in South America and Latin America.” Not only is Chile merely present in regional economic forums, it is also one of the major players in paving the way for what it hopes to someday help to unveil as a successfully-implemented Latin American integrationist project. This originally was conceived centuries ago by the region’s political liberators, and has evolved to its present form known as the Union of South American Nations (Unasur), with the dream of spreading economic liberation and fraternity to all the nations on the continent. Good feelings towards Chile from the international community as well as the Andean grouping conceivably would more readily flow if Santiago improved its often testy relations with its neighboring countries. An example of this would be better relations with Peru, which have been particularly tense ever since the 19th century War of the Pacific and have been strained lately due to an ongoing border dispute that has existed ever since that aforementioned conflict in the 1870s. A good way for such relations to be improved would be if Bachelet carries out some kind of stunning gesture of goodwill, like returning the Peruvian warship “Huáscar,” which was captured at the Battle of Angamos on October 8, 1879. During the battle, most of the Huáscar’s crew was killed, including Rear Admiral Miguel Grau, who now has achieved iconic status in his nation. As suggested in a recent essay by COHA Research Fellow, Wilder Alejandro Sanchez, if Chile is so concerned to project a new, more humble and less arrogant image in Latin America as well as play a new and more honorable role as a liegeman for Bachelet’s “hermandad andina,” that would be underwritten by the support of the Chilean political sector as well as the nation’s armed forces, she might consider the return of the Huáscar to Peru. Currently the Huáscar is a museum at the Chilean military port of Talcahuano, in the Bay of Concepción, in front of the headquarters of the country’s second naval zone. Unfortunately, such a move is highly unlikely. Shortly before the 1973 coup by General Pinochet, which overthrew the Salvador Allende government, COHA Director Larry Birns, then an official with the UN Economic Commission for Latin America in Santiago, proposed such an idea to President Allende at a private gathering. The constitutionally-elected leader laughed off the idea by insisting that the Chilean navy would have him castrated for such a move. Luckily, Bachelet is a woman and does not have to worry about that fate if she had the temerity to return the Huáscar to its rightful owner, indicating that a true and more charitable change in its natural profile had occurred in that country. As a result of this action, in addition to its renewed participation in CAN, Chile may garner better relations with its Andean neighbors.